There was a time when only the very sophisticated were able to create the very professional websites. But things have changed for good today. The advent of technology and the ubiquity of the Internet has made many companies emerge which let you create beautiful websites with ease. They allow you to create high quality websites even when you don’t have any coding or programming skills. Out of all those websites our recommendation is that you try TOWeb. 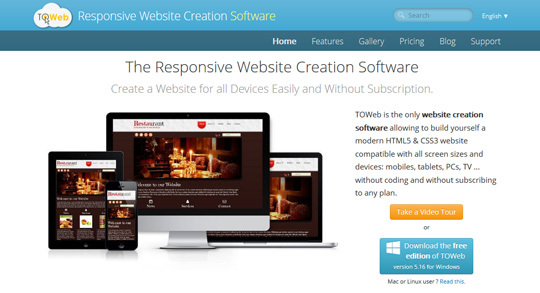 TOWeb is the only software for website creation which lets you build a modern HTML5 and CSS3 based website which is compatible with all kinds of devices and screen sizes without requiring you to learn any coding or programming and without even subscribing to any monthly or yearly plans. Lots of people today are surfing the Internet not on their desktops but on their smartphones or tablets. The websites which are built to cater to different types of devices and screen sizes is called a responsive website as it responds to the device in the correct way. And its design is known as a responsive design. All sites designed with TOWeb are responsive. Below I discuss some of the important features of TOWeb and how it can help you create quality websites. TOWeb hosts a large library of pre-designed professional templates and you can choose one of them based on your needs and requirements. TOWeb understands that not all its users are professional coders hence supplying them with a template makes things easier. 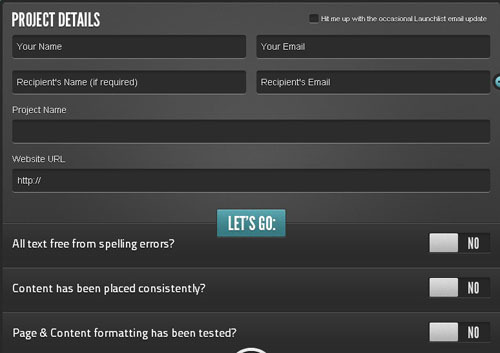 Editing of template to insert your own text and images is easy and intuitive and follows the WYSIWYG rule. The expression stands for What You See Is What You Get. TOWeb lets you browse and edit your website easily in a live preview mode so that you can add or edit content directly into your webpages and offers you everything your website requires from images to forms, from photo galleries to Google Maps, from YouTube videos to HTML5 codes, and so on and so forth. If you are interested in creating an e-commerce website they have built an entire solution for that to create your online store. Who wouldn’t want some love from that search engine giant called Google? If your website is well optimized for search engines or in other words if you have done your search engine optimization correctly, you can tap in a lot of traffic from search results. TOWeb is worth checking out. There is a free edition for small websites. Go and take a look at the website and then let me know what you think in the comments below.